Like administrators, teachers in higher education are devoted to serving the university mission. Like students, they are dedicated to learning. However, faculty also have a unique place in higher education. 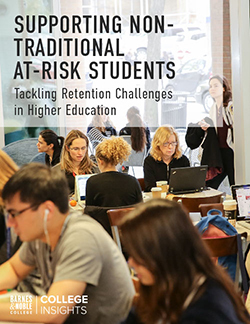 College stores that succeed in establishing strong faculty relationships play a critical role in building the campus community and its brand. Catching the attention of faculty can be tough. Instructors and scholars always have an abundance of disparate priorities. Their time is filled with students, classroom prep, writing, scholarly research, communication with colleagues, conference work, committee service and more. So, a college store must put a lot of effort into connecting with faculty and establishing ongoing positive communication. The dividends for such effort are great. When college stores have strong faculty relations, teachers spread positive word of mouth about the campus retailer in the classroom. They also remain alert to adoption notifications and deadlines. When adoptions arrive on time, students have greater access to lower-cost options like used textbooks. 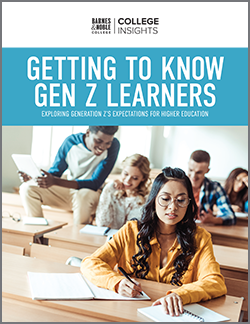 Beyond that, a college store with strong faculty relations can educate teachers about course material options and innovations. Raising faculty awareness about industry trends like inclusive access and OER can lead to lower education costs and increased student success. Frequent communication with faculty is often the most effective. Remember: teachers have a lot on their plates. They’re absorbed in classroom work, curricular preparation, research, writing and more. Many are preparing tenure portfolios, unsure about the next step in their careers. It’s good to repeat messages about important dates such as adoption deadlines, for instance. That’s not because faculty don’t care about course materials. It’s because it can be easy miss messages from the bookstore amid a torrent of emails from students, administrators and colleagues. In addition to sending faculty frequent reminders, many college stores find it helpful to become acquainted with department chairs. These campus leaders can be excellent allies when important deadlines are approaching. They can also help spread the word about new course material formats and options. 2) Host faculty-focused gatherings on relevant topics. One of the best ways for bookstores to build strong faculty relations is to host learning events for teachers. The Walsh College Bookstore invites faculty in for conversations about hot topics like OER, courseware and student savings. Such events give teachers insight into industry trends that can improve their teaching while saving students money. They also provide faculty and bookstore professionals with an opportunity to engage in person. Personal contact, in turn, furthers communication efforts. Faculty can meet the real people behind the official emails. 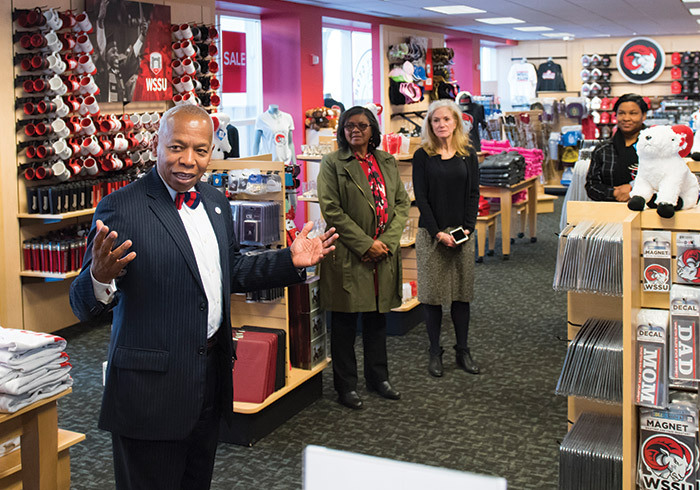 They feel a greater connection to the bookstore’s success and they better understand its role on campus. If college stores stay informed about faculty achievements, they can plan events that celebrate both the faculty and the university. The University of Kentucky Bookstore sends teachers queries asking about their latest publications. It hosts faculty for readings, book signings and lectures that promote their books. It also has a wall devoted to UK faculty books. The display gives students, UK fans and alumni who visit the store a chance to appreciate how the university serves its mission. It also boosts the school’s brand as a leader in academia. All this leads to excellent relations between the UK bookstore and the campus educators. When bookstores promote faculty work, they demonstrate their interest in serving the university’s entire mission — including its devotion to research and education. Having a display devoted to books by university scholars is like putting up a sign that says, Faculty Welcome. In this way, college stores can also demonstrate their own vital role in serving and promoting the entire university community.